Be elite and delete. Save strategically! Procrastinating on some annoying clean project? If so, now is the time to get it done and potentially win a prize. Everybody’s a winner! This posting is lucky #104, signifying two years of weekly posts! 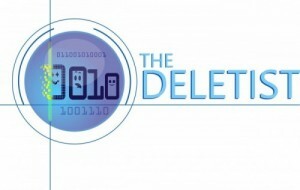 To commemorate the event The Deletist is running a Spring Cleaning Challenge. something hidden away (e.g. closet, cupboard, folder on hard drive) where it’s easy to ignore, but that still creeps into your thoughts. 2. The project must be processed completely, no fair shoving everything in a bag or a box to relocate it. Or scanning papers to be stored electronically, which only transfers the mess from one format to another. Remember the message of The Deletist is to be strategic. 3. The project can be for physical and/or electronic items. ***Bonus points if this project clears the way for you to do one or more actions. For example, if you couldn’t move, or buy, a piece of furniture because you had to clean something to create space. Tips: Start small, start easy. Be strategic! How long had you been procrastinating on cleaning up this area? On a scale of 1 – 10, how annoyed/stressed/guilty, etc. did you feel before? On a scale of 1 – 10, how relieved did you feel after? ***Bonus question: were you able accomplish another action based on the results of the Spring Cleaning? If yes, please elaborate. I will also be challenging myself with an annoying clean project. Approximately 6 months ago my bookcase broke while I was moving it, completely filled, by slowly dragging it across the rug. This was not a good plan. The whole thing fell apart and I had to empty it rapidly to avoid disaster and injury. 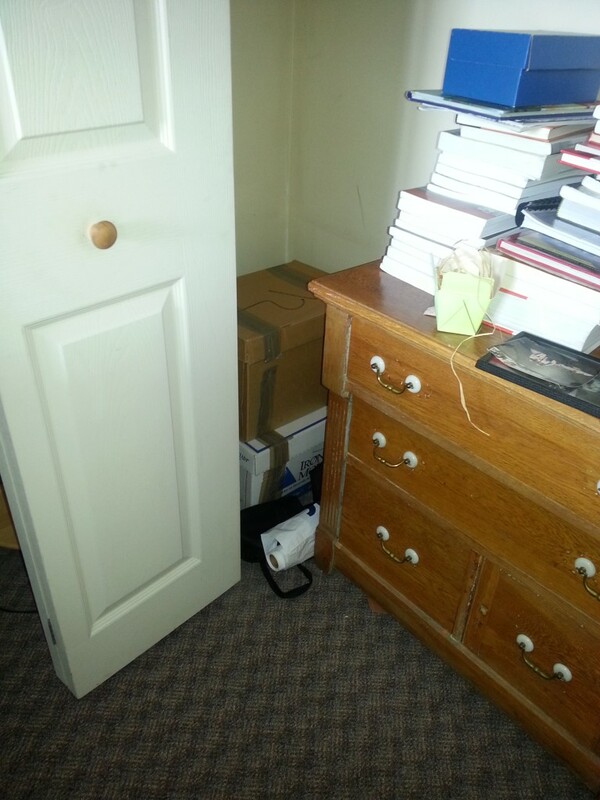 Some of the books were relocated to available cupboard space, but the rest ended up unceremoniously stacked in the home office closet, out of sight. The Deletist is, after all, a mere mortal in real life. Gasp! Residue from the broken bookcase. Also a pile or two of filing on the upper shelf. The horror! Bankers boxes stowed in the back corner of the closet. This is how I “processed” them last Fall when I challenged myself to get rid of them. The dresser is empty, btw. 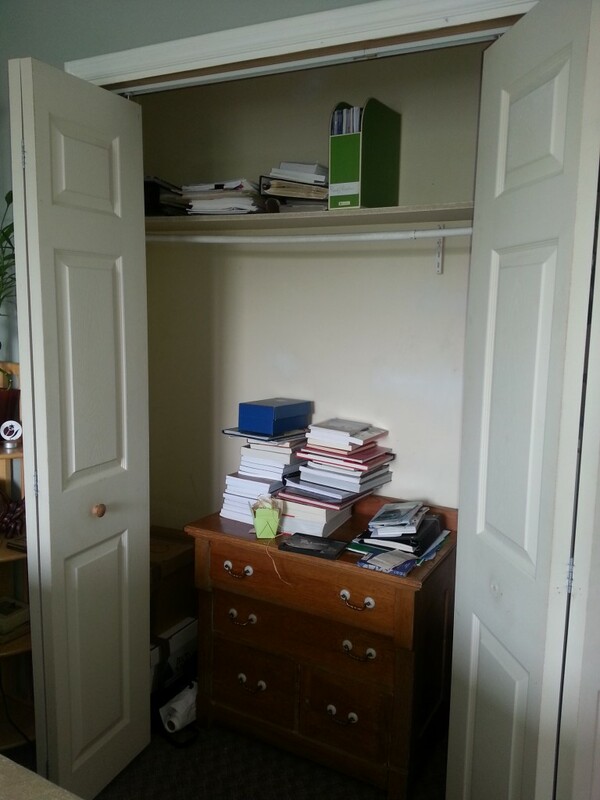 Very interesting contest; your bookcase situation should motivate us. Love your blogs. I could go off the charts with this challenge! Right now, my Mother’s piano is sitting in the middle of the living room. I had to move it to create room for a new big piece of furniture due to the earthquake blowing apart so many things. Will send pictures! Now thinking I may keep it and trying to juggle to find room for it or bite the bullet and give it to local high school music program! Will keep you updated. Was put temporarily in middle of room as I was leaving for S. America! Still there! YI! I have 2 challenges to do! One electronic and 1 physical!! Over 40k emails in my 2 gmail accounts! And a pile of clothes in my bedroom I’ve dubbed ‘Mount Jessmore’! *For a limited time only, sign up now for a free chapter of The Art of Making Space! Copyright © 2019 The Deletist. All Rights Reserved. The Magazine Basic Theme by bavotasan.com.